John Mutoko is from the Kamba tribe. They are well known for their ability to carve. 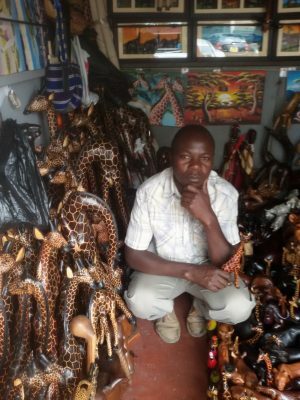 He operates a market stall in Nakuru. He and several other members of his group carve a variety of wooded items. Though each one can carve most of the animals, they develop a few specialties. John loves giraffe and works to have some of the finest animal carvings round.